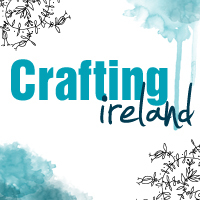 Do you remember Andrea‘s tutorial on the shadowbox in the latest issue of the magazine?? Here is part 2 showing you how she decorated the box and two short videos about a mini album that fits perfectly in the box. 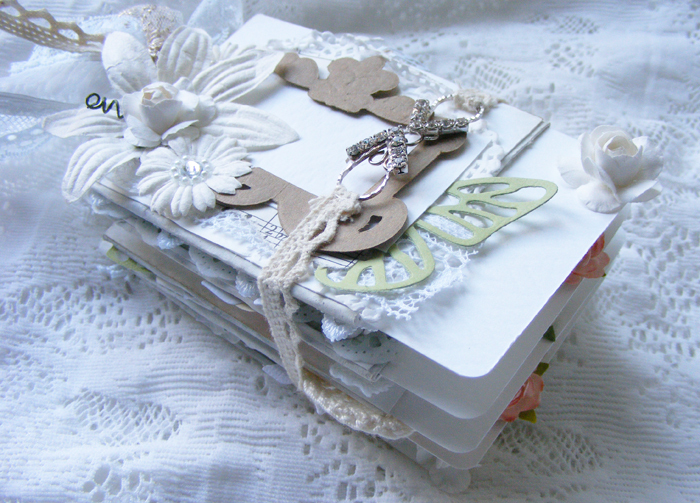 This was the box that we created and now a few tips for decorating the cover. 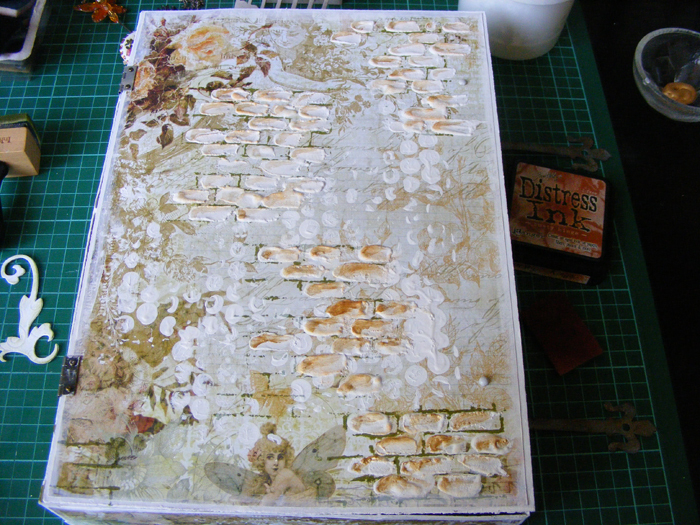 For some texture and to achieve a shabby chic style use a stencil and add some structure paste patches. You can use two different stencils to layer. 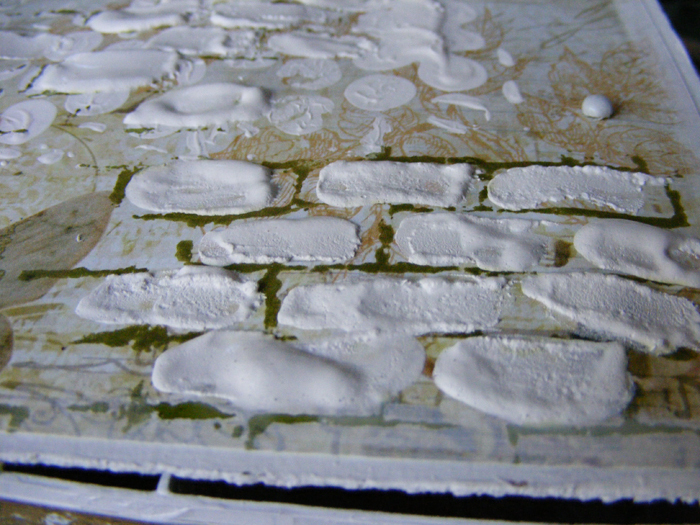 Ink the structure paste to match the colour scheme of the shadowbox. 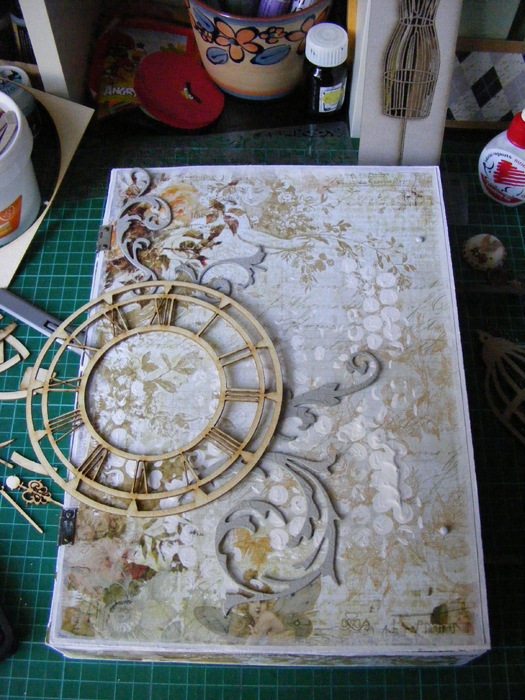 Die cut some chipboard shapes, some flourishes and a clock face. 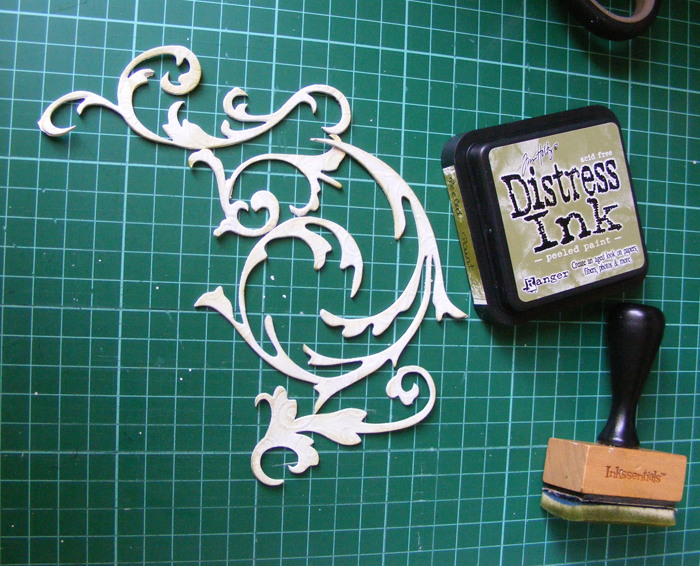 Ink them with some distress inks. 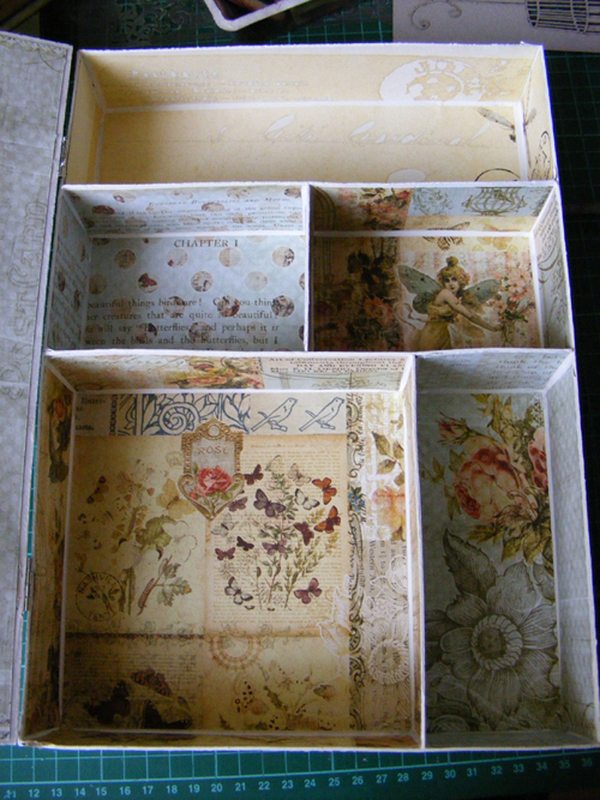 Place the the chipboard die cut on the front of the shadowbox and glue them down with a strong glue. and now for the videos!